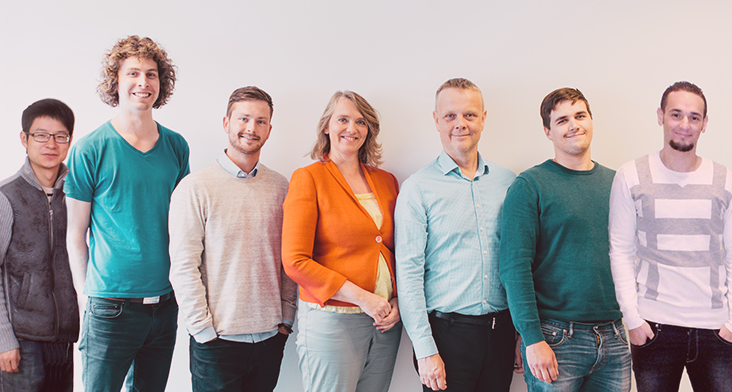 Specializing in location aware branded apps, Locatify is an Icelandic based company that provides software solutions for tourism, transport, museums, education, and retail sectors. Since its start in 2009, Locatify has crafted unique Android and iOS apps for clients based in Europe, Canada, and the UAE. Their solution can be found in London’s National Portrait Gallery, Science World, British Columbia, and other popular locations. Beacons were a core component of Locatify’s development process from early on as they worked to create outdoor audio guides and treasure hunt games utilizing GPS. Looking to expand their products to include indoor venue solutions, Locatify required technology that could not only connect to a smart device, but also expand their reach beyond GPS. Implementing BLE iBeacons enabled Locatify to diversify their current product offerings to a variety of new industries and customer types. Existing museum guide solutions used costly hardware devices that didn’t provide enhanced flexibility for content management. After installing Kontakt.io beacons, Locatify gained a competitive advantage which enabled semi-immersive user experiences with real-time app updates via Locatify’s CMS. The Eldheimar Museum focuses on one of Iceland’s biggest natural disasters – the 1973 volcanic eruption in Eldfell that lasted 5 months and destroyed over 400 homes and businesses. One of the highlights of the museum is an exhibition featuring a house that was dug up from the ashes. Working closely with the Director of the Eldheimer Museum, Kristin Jóhannesdóttir, Locatify utilized a BLE beacon infrastructure across two floors of the exhibit, covering 1,200 square meters of space. Installing 80 beacons throughout the exhibit enabled a user’s location to trigger museum guide content on a smart device. The CMS beacon enabled device also allows visitors to enjoy background music specifically recorded for each space and an audio guide available in a number of different languages. Visitors to The Icelandic Wartime Museum in Reyðarfjörður experience the lives of soldiers and villagers during WWII with the help of beacons installed throughout the venue. Upon arrival, visitors are given headphones and a smart device to carry with them throughout the museum. When a user approaches one of 12 exhibits, they are presented with audio as well as photos and the option to explore additional information on their smart device. Beacons at The Icelandic Wartime Museum allow visitors to explore the museum without consciously interacting with each exhibit. This allows for a seamless, immersive tour that adds value not only to the exhibits, but also to the museum experience as a whole. Well-known for their Hotel App, conichi helps hotels connect with their visitors and create a memorable visitor experience. Fullscreen Digital provides businesses with the next-generation platform for action-based marketing and sales. Want to succeed with Kontakt.io? Yes, I agree to be notified about important updates on products I’m using, including bugs, hotfixes, subscription and feature updates, maintenance issues, and information related to product delivery. I understand I have the right to withdraw my consent at any time. Yes, I want to receive a monthly newsletter and occasional emails about new products, special offers, and selected, personalized content. I understand I have the right to withdraw my consent completely or for specific types of emails at any time. What is Proximity and IoT?